Video Game Palooza coordinates online and in-person video game tournaments and community game nights to help raise funds for community members in need. We host fund raising events for our own projects as well as a variety of causes and charity organizations. 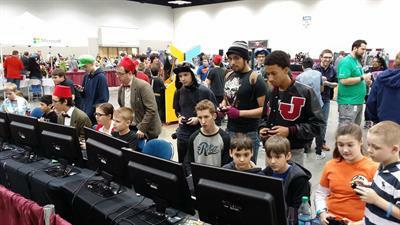 Gamers from across the country donate funds to participate in online tournaments. Proceeds from the tournaments are then donated to pre-designated causes or organizations. Video Game Palooza combines passion for gaming with charitable action; an ideal way for gamers to positively impact our global community. Getting involved is as easy as playing video games from the comfort of your own home, at one of our participating LAN Centers, or at community gaming centers! Sit back and enjoy playing all types of games for 24 hours! We believe there are many ways to raise money for people and organizations in need. Video Games have eclipsed the motion picture industry in popularity, and they have an intrinsic factor that allows everyone to benefit – our job is to harness the power of that popularity to make the world a better place!